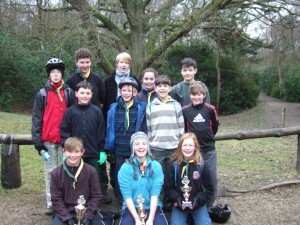 Horsham's 1St Roffey Scouts win Cyclo Cross at Colgate. 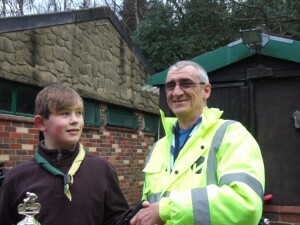 Our Scouts win Cyclo Cross! Ollie Field, came from 3rd place to win the Individual Race. Our All Girl Team Zoe FitzPatrick, Heather Lindfield and India Belfield managed to thrash the ALL boys in the 3Man Team Base event. 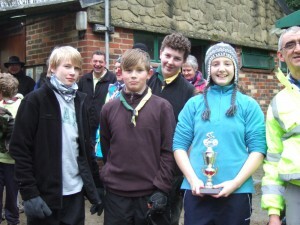 And our 4 Man relay team Ethan Belfield, Craig Fowler, Zoe FitzPatrick and Ollie Field excelled to win this race. Our other team members (Oliver Whorwood, Paul Ambrose, Callum Joslin, George Power and Joseph Menzies-White) all took the challenge, despite having a few incidents and Kieran Boulton even completed the last race with only one brake…. congratulations to you all! 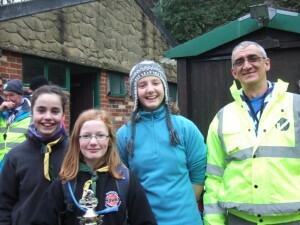 1st Roffey 2012 Cyclo Cross Competion team.